I was pleasantly surprised when Guy Pearce showed up in Iron Man 3 because his character fit his career as an actor so oddly well. In that film he plays a nerdy genius named Aldrich Killian who realizes that his greatest strength is his anonymity. He never really makes a lasting impression on people in a way that makes him instantly recognizable. Killian uses that ability to stay out of the limelight while pulling all the strings and making things work out to his advantage. 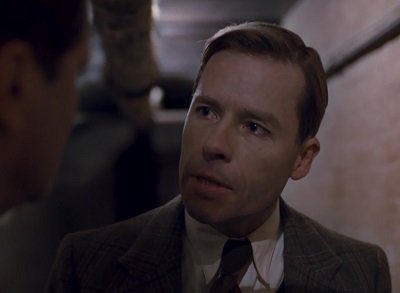 Guy Pearce may not be as instantly recognizable as, say, Arnold Schwarzenegger or Tom Hanks. But he has turned his lack of superstar status into a strength. He has quietly had a remarkable career, playing a variety of roles that he wouldn’t have been able to if he had become too famous for one role and been typecast. Pearce’s big breaks came in the 1990s with a couple of supporting roles alongside other future stars. In 1994, he played a crossdresser alongside Terence Stamp (the former General Zod) and Hugo Weaving (the future Agent Smith, Elrond, Megatron, etc.) in The Adventures of Priscilla, Queen of the Desert. Then in 1997, he played a straight-laced cop named Ed Exley in the excellent crime thriller L.A. Confidential. He played opposite a then-unknown Russell Crowe who would soon shoot to fame with starring roles in Gladiator and A Beautiful Mind. 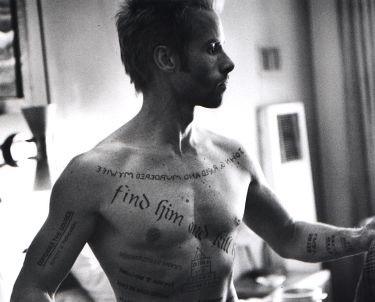 Things really came together for Pearce in 2000 when he starred in Christopher Nolan’s first masterpiece, Memento. The movie is brilliantly told in a way that leads us to believe his character, Leonard Shelby, is a hero or at least a victim. But in the end it is revealed that he is actually a master manipulator and most definitely not someone to root for. But he plays both saint and sinner so convincingly that it’s hard to hate the guy, even when you see what he really is. Another defining role came in 2003 when he deftly took on the part of the treacherous Mondego in The Count of Monte Cristo. Alexandre Dumas’s book is one of my favorites, and I love the liberties this adaptation took with the source material. Mondego transforms from friend to foe without skipping a beat. The scene where he betrays the naïve Edmond Dantes is devastatingly perfect, especially when Mondego reveals his reason for doing so. 2008’s The Hurt Locker and 2010’s The King’s Speech have two things in common: They both won the Best Picture Academy Award and they both have Pearce in a small but important role. The Hurt Locker is difficult to watch. From start to finish you never feel the characters are completely safe. The opening scene makes that abundantly clear when Pearce’s bomb disposal expert gets killed in an explosion. He was wearing a bulky suit to protect him and he was running away from the blast, but it still wasn’t enough to save his life. He didn’t last long in the movie, but he played an essential part in setting up the dangerous world the characters inhabit. The King’s Speech couldn’t be more different. It’s a powerful drama that portrays the humiliation of being a public figure with a speech impediment. When King George V died, his eldest son (Edward VIII) briefly took the throne. But he was intent on living in a manner that prevented him from keeping the royal mantle, so that honor fell on his younger brother George VI. The film focuses on George VI and his struggle to overcome his stuttering habit in an attempt to inspire the British people to stay strong on the eve of World War II. Pearce’s Edward VIII only has a handful of scenes, but they are all fantastic. He comes across as a bully to his brother and an arrogant yet vulnerable monarch. A year before Iron Man 3 debuted, Pearce had another role in a sci-fi series where his character manipulated the film’s events from the shadows: Prometheus. Peter Weyland is the founder of the malevolent “Company” in the Alien series. He stows away aboard a spaceship traveling into deep space to investigate the origins of human life in an effort to save himself from death. Plenty of horrible things transpire and pretty much everyone, including Weyland, winds up dead. I’ve heard a couple of interpretations of this confusing film. I simply think that the film is all about losing control. Weyland thought he would be able to get help from the beings who created humanity eons ago, but he didn’t count on them turning out to be our enemies. He thought that by controlling an android he could use the other humans as guinea pigs, but all of his plans backfire. Hopefully the sequel will explain a few more things about the Engineers and make Weyland’s failed mission a little more meaningful. But that’s a completely different discussion. From conflicted hero to complex villain, from Oscar-winning drama to silly Adam Sandler comedy, and from futuristic space adventure to 1950s film noir, Guy Pearce has done it all. No matter how many films he appears in, it seems like he’ll always remain just obscure enough that he won’t be instantly recognizable as any one of the characters he’s played. Keep an eye out for him. Then he won’t be just some guy, but you’ll recognize him as the Guy. This entry was posted in Random Stuff and tagged action movies, actors, drama, films, guy pearce, iron man, memento, movies, prometheus, science fiction, the count of monte cristo, the hurt locker, the kings speech. Bookmark the permalink. If John Wayne was The Quiet Man, then Guy Pearce is the Quiet Guy. Great article. 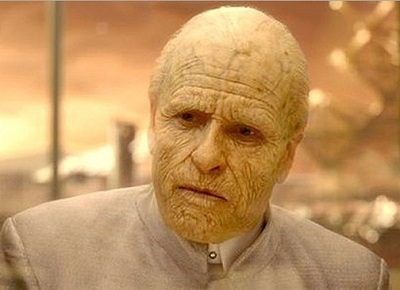 Pearce has been solid in so many strong movies yet I have to admit I kind of forget about him as an actor and still kind of take him for granted. My personal favorite Pearce role is probably the over-the-top, scenery-chewing bad guy in Lawless. It’s a performance Nicolas Cage would say goes too far, and it’s like nothing else in Pearce’s filmography. I haven’t seen that one yet. Thanks for the suggestion. I also need to see Rules of Engagement. 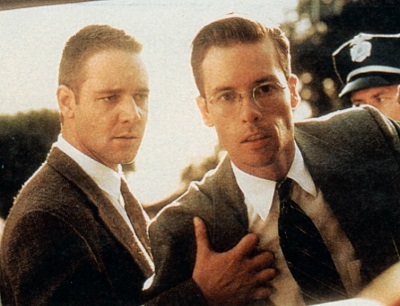 My brother told me that Guy Pearce is awesome as the prosecutor in that film. The Count of Monte Cristo is probably one of my Top Five most favorite movies. Nice. The movie inspired me to read the book. I love both of them. The book has a much richer plan for revenge, but it was still handled extremely well in the film. I usually don’t think films change books for the better, but in this case, I think the changes the filmmakers made to the story made for a better movie experience. At the end of Memento Leonard isn’t revealed to be a master manipulator. He finds out Joe Pantoliano’s character, Teddy, has been using him as a hitman and in the brief space of time he has to remember this, he sets Pantoliano’s character to up to be his John G. so he can stop being used as a murdered. Wow, I’ve really been misinterpreting the ending of that film all these years. Thanks for pointing that out. Great piece. He’s an extraordinary actor – I can watch him in anything. Just screened Breathe In (2013), yet another sensitive, beautifully balanced performance.